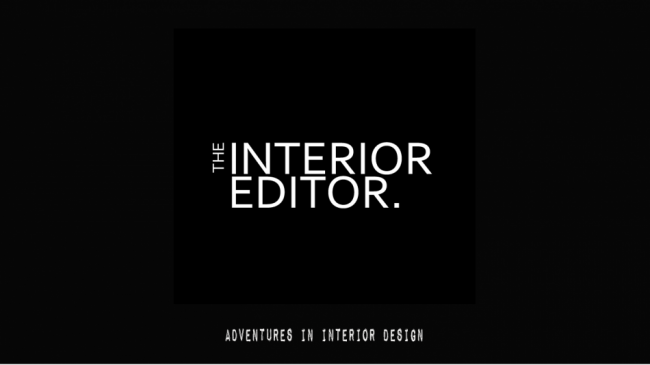 Many, many moons ago, in a house not that far away, lived The Interior Editor, whose love of her living room was such that she was clever enough to hide away a rather small, and ugly black box that was TV, in a rather large, but adequate TV cabinet. No-one who entered ever knew such an ugly device resided in her lovely home. This suited The I.E. rather nicely until…. A few years later, her knight in shining armour, aka The I.E. Hubby, came along, and she fell head over heels in love. However, much to her horror, she soon discovered that The I.E Hubby had a huge obsession with the evil ugly black box. If that wasn’t enough to make The I.E. quake in her boots, she also discovered that the TV was there to sustain his equally insatiable love of cars. Hopefully, as fellow interior obsessed lovers, you will be sympathising with me right now, and for those of you that are suffering from the ugly black box in your own homes, there’s a glimmer of hope. I have discovered THE FRAME. No more ugly black boxes, but more ART on the wall, so to speak. 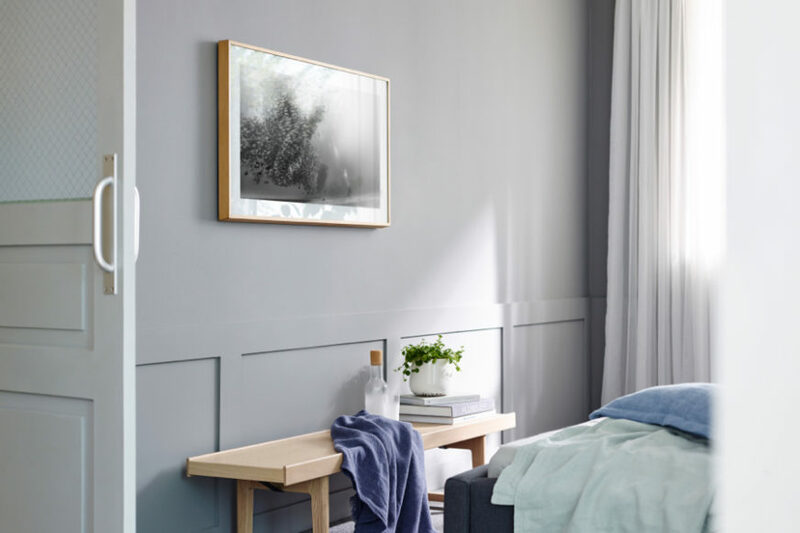 Designed by Yves Béhar for Samsung, The Frame is a smart TV designed to morph into your home decor as a piece of framed artwork. 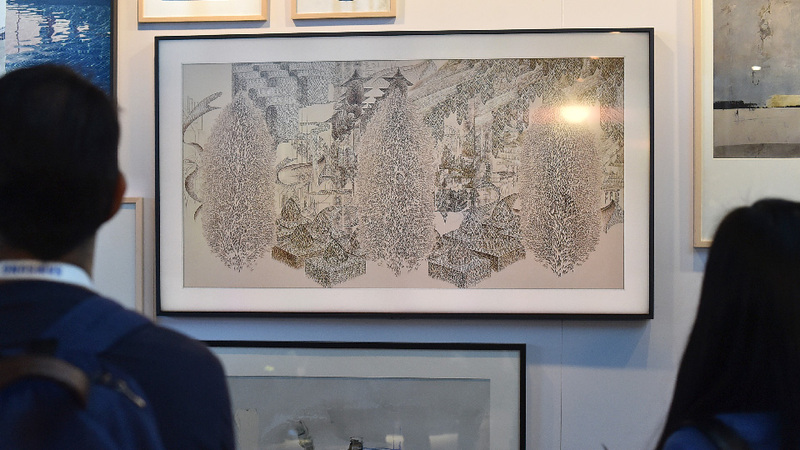 Aptly named, The Frame works as an art/photo frame, (when you’re not having to endure the likes of Wheeler Dealers), enabling you to choose from over 100 artworks/photos. You can also upload your own too. 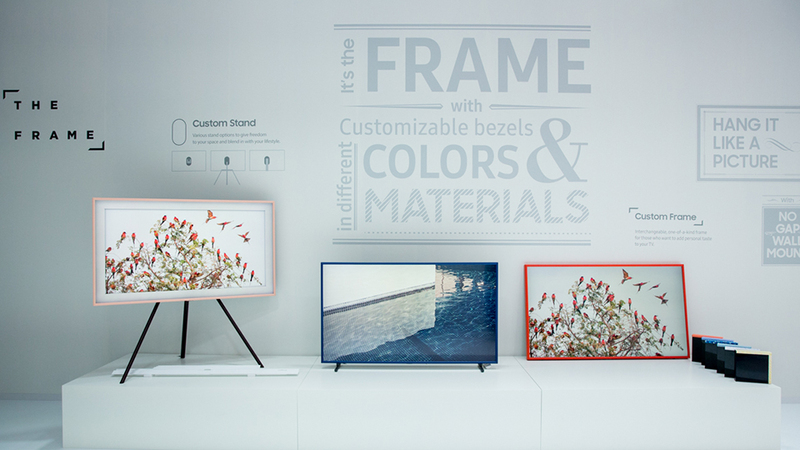 It’s called Art Mode, which turns the Frame into a display rather than your typical black box. Making your spaces beautiful once more. The aesthetic appeal of The Frame combined with intuitive technology provides your spaces with the perfect solution to having your cake and eating it. The I.E. Hubby could watch his beloved car programmes, but then I could admire it as a decorative art form when he’s not. Apart from its good looks, it’s also an intelligent piece of technology. The Frame is intuitive in that it adjusts its brightness depending on your surroundings displaying your chosen image in its best light. Motion sensors also detect if your room is empty; cleverly turning itself off, and on again, when you enter the room. It has been unveiled as a new innovation in television; an entertainment hub rather than something just to watch your favourite programme on. Although to me a TV is still a TV whichever way you word it. One of my pet hates are the dreaded WIRES!! Samsung has a word for it Kabelsalat. It means a salad of cables, of which we have many (sighs and holds head in hands). With The Frame, there is an invisible connection that takes care of Kabelsalat. 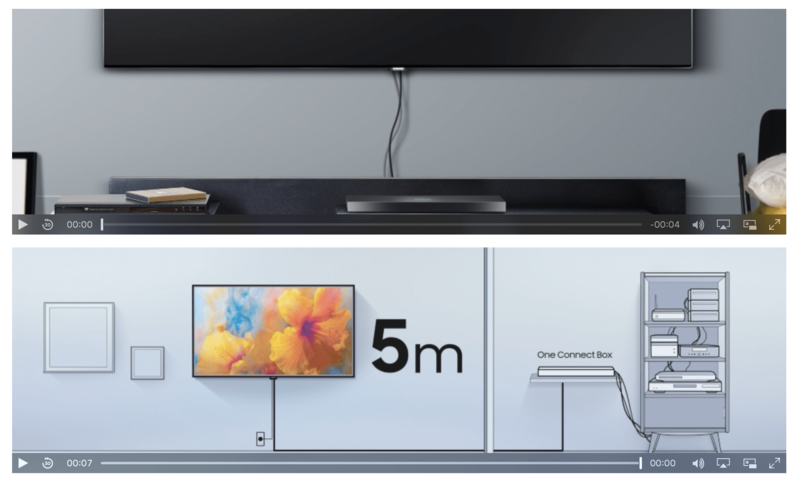 Without getting too technical a translucent optical cable connects your devices to the One Connect at the end allowing you to hide everything out of sight. How fab is that!! I can hear you all shouting I WANT, I NEED as much as I am right now. 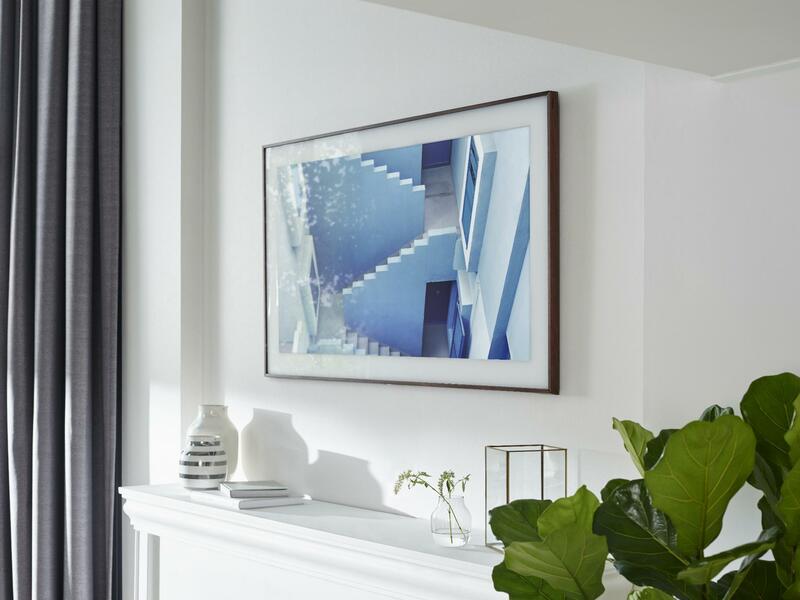 Wall mounting TVs can be a bit of a nightmare and only about 20% of us actually do. The Frame comes with a No-Gap Wall Mount (recessed to you and me), ensuring installation is quick and easy. It also allows for post instalment adjustments. Sadly, The Frame isn’t available just yet, although it is due out sometime this year. Samsung has also yet to confirm pricing and other technical specifications. According to Trusted Reviews website, they’re estimating a 55-inch model to be around £1,915 mark. If it’s more, I might have to convince The I.E. Hubby to sell his beloved Jaguar to finance it! 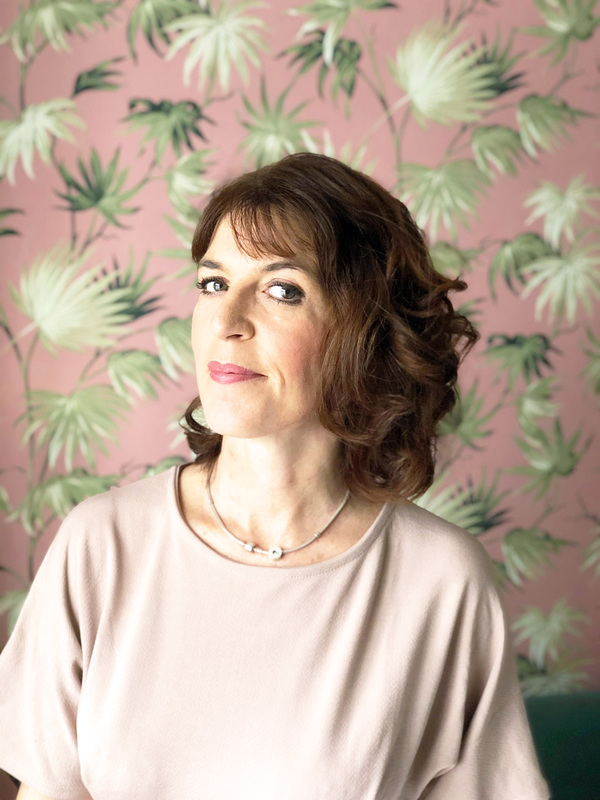 As much as we’d like to convince ourselves that owners of homes shot for interior magazines or the wonderful posts of Interior Instagrammers don’t actually possess the damned black box, we know it’s lurking there somewhere. Images of these homes can provide an unrealistic image of how we live. The reality is that TV is very much part of most people’s lives. From watching the news unfold to grabbing five minutes peace by putting on Teletubbies for the little ones. Technology is evolving and so our homes and the way we use them are too. How wonderful would it be if you could walk into a room and see a piece of art rather than a black blank screen? 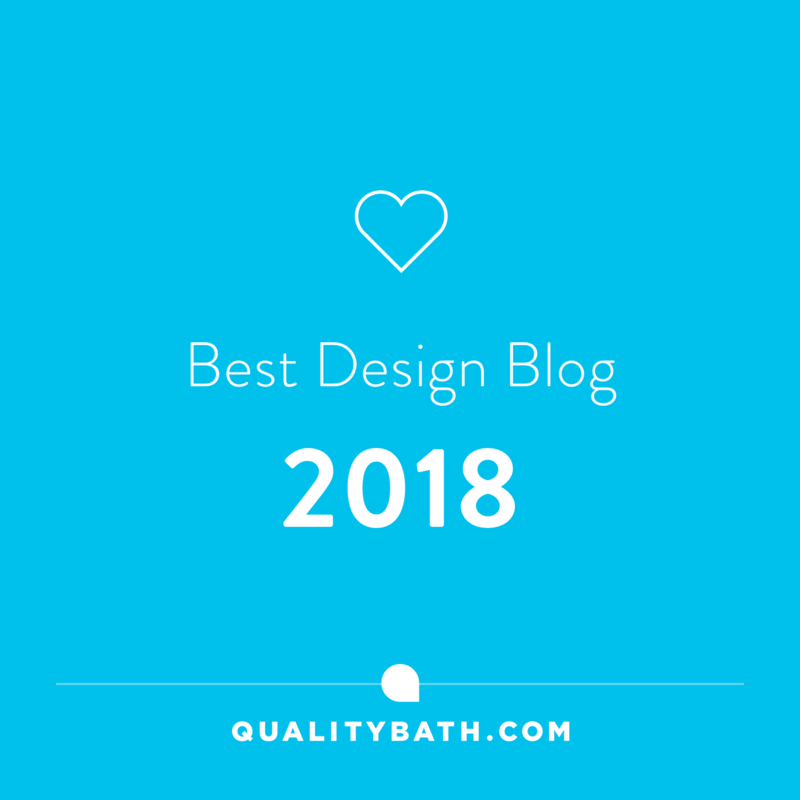 Thanks for stopping by today, but before you go, can I ask an incy wincy favour, (if you haven’t already), to vote for my pride and joy this blog, of which I get my fix of sharing everything interior related with you. I’ve been nominated in the Best Newcomer Category in the Amara Interior Blog Awards and voting ends on the 15th September. I’d be truly grateful for your votes. Thank you so much in advance! !